“…I would like to tell my fellow presidents from other countries that power alternation are inevitable in Africa and in West Africa…”. This statement by M. Alassane Ouattara, President of the Republic of Cote d’Ivoire, on September 10th, 2017 (http://bit.ly/2kSK433) in Abidjan, appear to echo one of the major political developments in West Africa for this end of year. These are the political manifestations by Togolese people, held practically every week since August 19th 2017, and in several regions across the country, even in those usually considered as strongholds for the current regime. The protests demand, among other things, a presidential term limit. The events in Togo are a reminder of similar situations, notably in The Gambia at the beginning of 2017, and in Burkina Faso in October 2014, just to name few recent examples. They constitute an indication of progress with regards to democracy in West Africa. Indeed, it would appear that citizens are progressively agreeing on indispensable values for the functioning and consolidation of democracy in the sub-region. As the chart below shows, citizens of West Africa appear to largely be in favor of term limits and power alternation (and should thus identify with the statement made by President Ouattara cited at the beginning of this paper). 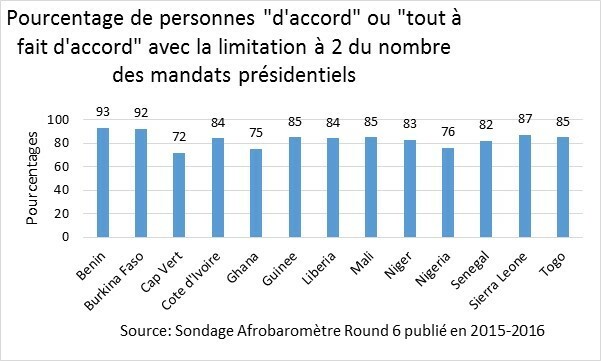 According to the data in the chart above, in a country like Togo, 85% of citizens are in favor of limiting the presidential term to two, in Cote d’Ivoire, they are 84%, and in Guinea, 85%. How then can we be surprised by the reaction by Togolese citizens who since August 19th 2017 take it to the streets several times a week to demand term limits, among other things? How could we be surprised if tomorrow, Ivorians and Guineans (with 84% and 85% respectively in support of term limits) took to the streets to express their disapproval should the the Ivorian and Guinean Presidents decide to extend their presidential terms beyond constitutional limits to two? Along similar lines, recent elections in the region appear to indicate that citizens are increasingly aware of the link between their living conditions and the performances of their governments, and are prepared to sanction when necessary. For example, between 2015 and 2016, for 10 presidential elections in the region, 5 of the outgoing candidates and/or parties lost elections that they had organized themselves. If in The Gambia, Ghana and in Nigeria, sitting presidents have lost elections, in Cape Verde, it is the ruling party that abstained from a candidacy following its failure at the legislative elections organized some months before the presidential elections. Benin tells a similar story, with a loss for the candidate actively sponsored by the outgoing President. A real revolution in these instances given that between 1990 and 2014, the region only had 3 cases of sitting presidents losing elections. The above-mentioned progress with respect to elections and the increase in number of power alternations underway in the region are an undeniable testimony of Electoral Management Bodies (EMB) increasingly improving elections management. For at least 6 of these 10 presidential elections held in 2015 and 2016, the loser called the winner to congratulate him, most of the time before the announcement of the results. However, this should not hide the major challenges which remain, especially relating to the functioning and performance of democratic institutions at the national and regional level. At the latter level, progress remains fragile and reversible. The situation, at best, evolves in peaks and drops. Indeed, in the search for solutions to the Gambian crisis, and in order to respect the wishes expressed by Gambians during the December 2016 presidential elections, ECOWAS (Economic Community of West African States) was heavily engaged, to the point of using military force. 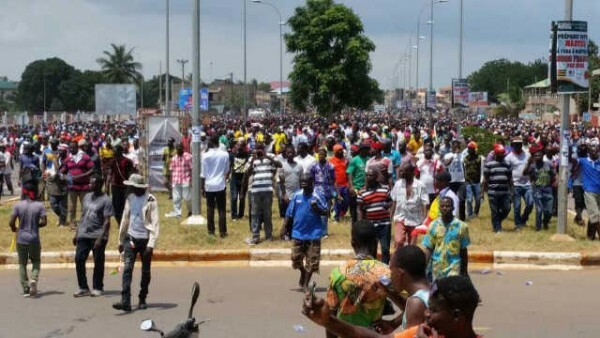 The same ECOWAS, faced with the current Togolese crisis, appears to be powerless and crippled despite populations’ massive and regular protests for over 3 months and almost every week, specifically calling to ECOWAS for assistance. Even though the contexts in The Gambia in late 2016 and early 2017 and in Togo at the end of 2017 are not similar, ECOWAS’ response appears to be quite contradictory. Beyond ECOWAS, the challenges faced during the organization of general elections in Ghana at the end of 2016, and legislative elections in Senegal in July 2017, and despite above-mentioned progress on that front, show that even in countries considered as models in election management in West Africa, challenges remain. Even worst, it appears to be harder for countries in the region to launch institutional reforms – e.g. constitution revisions – to consolidate democratic institutions by learning from their experiences. Over the last few years, and for various reasons, constitutional reforms have either been blocked (Benin, Ghana, Liberia, Sierra Leone, Mali…), or controversial and/or manipulated (Senegal, Cote d’Ivoire…). Almost as if, in the sub-region, we are not capable of learning from our practice of democracy in order to enhance it. 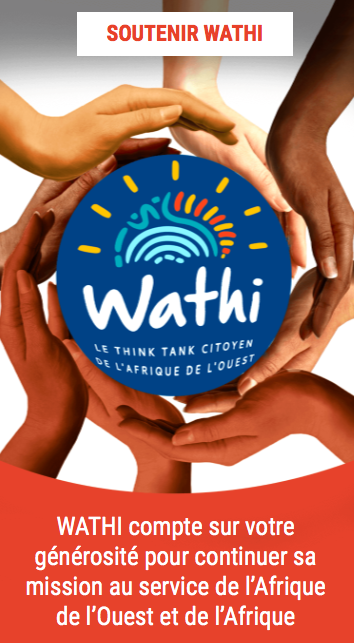 To conclude, and as illustrated by the developments above, West African people are progressively owning their roles as citizens, and it appears to be necessary to continue with raising their awareness through re-enforced civic engagement initiatives. These developments equally show that progress made on the front of democratic institutions, both as complementary of and indispensable bridges for citizen participation for well-functioning democracies, are not only weak but equally reversible. To take on these challenges, it is necessary for all to contribute, starting by our leaders from whom we expect, at the minimum, clear positions on the cardinal values of democracy and good governance. President Ouattara did so relating to power alternation and for us, in the words of Petit Denis, famed Ivorian Zouglouman (http://bit.ly/2BHZLSF) before the Lord, “What is said is said”. A Benin citizen, Mathias Hounkpè is currently the political governance program manager for OSIWA (Open Society Initiative for West Africa).